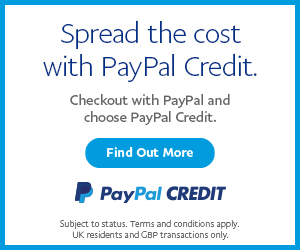 SKU: CVC-MPH-GK. 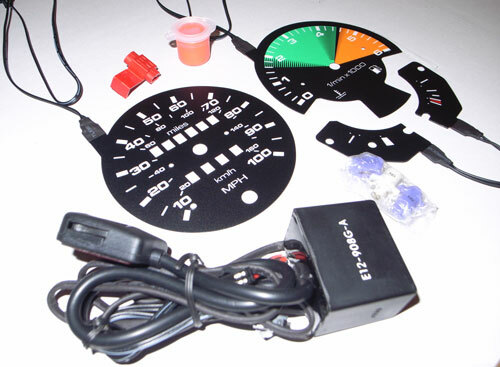 Category: Gauges & Dials. 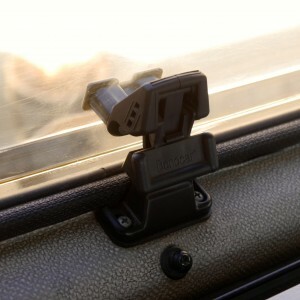 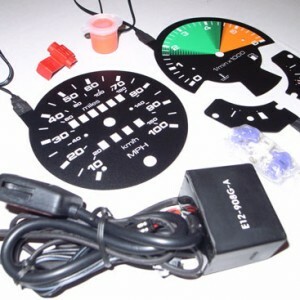 Tags: 4x4, Dash, Gauge kit, illumination, Led, mods+upgrades, Syncro, T25, T3, Vanagon, volkswagen, vw, westfalia. 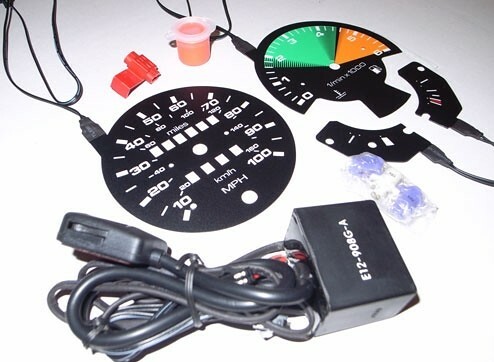 CVC – Transporter T3 T25 Vanagon Plasma Gauge – Back light style dash lighting upgrades. 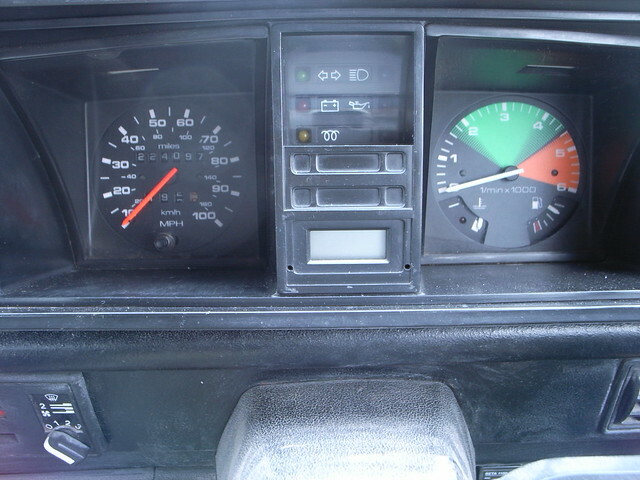 These plasma gauge faces are direct reproductions of the Miles per Hour (MPH) units originally supplied by Volkswagen on the T3/T25 Transporter or Vanagon which have markings for both MPH and KMH. 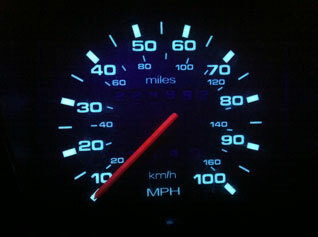 This means they provide an option for those people who currently have a Kilometers per Hour (KMH) speedometer and wish to change to MPH without needing to buy an entire speedo unit. 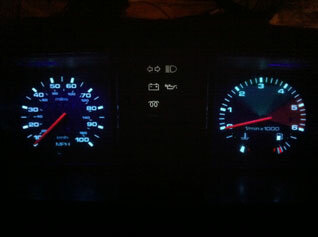 The bonus being that all the lighting is upgraded as well as changing the units of measurement. 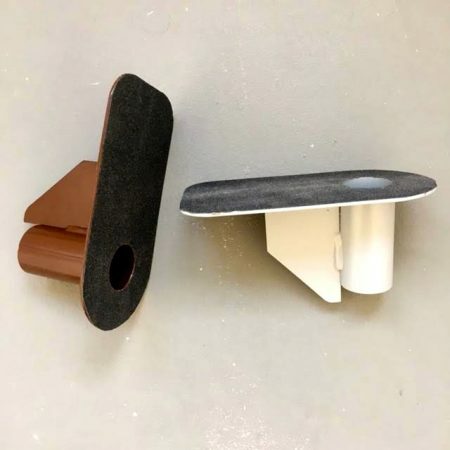 Each kit is supplied with orange needle paint. 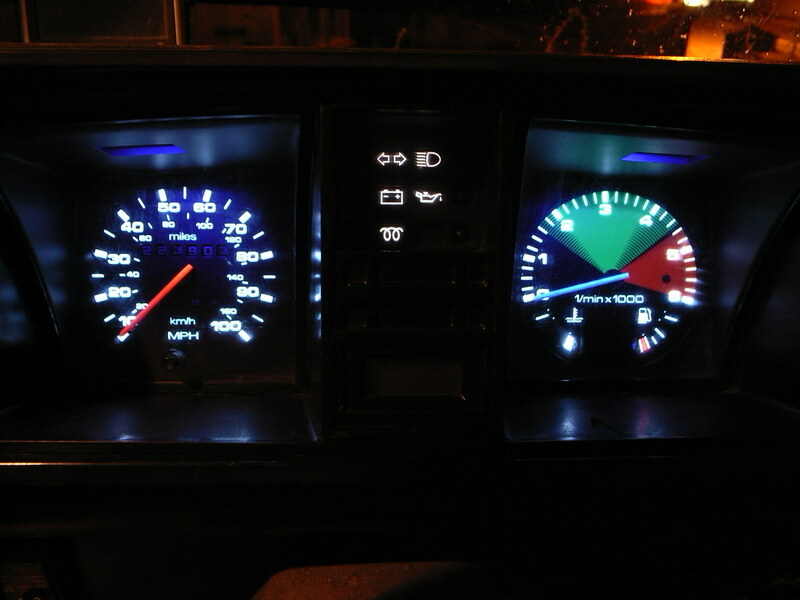 In the following images the Speedometer needle is painted with orange and the Rev counter, Fuel and Temp needles are left white so you can make a comparison.